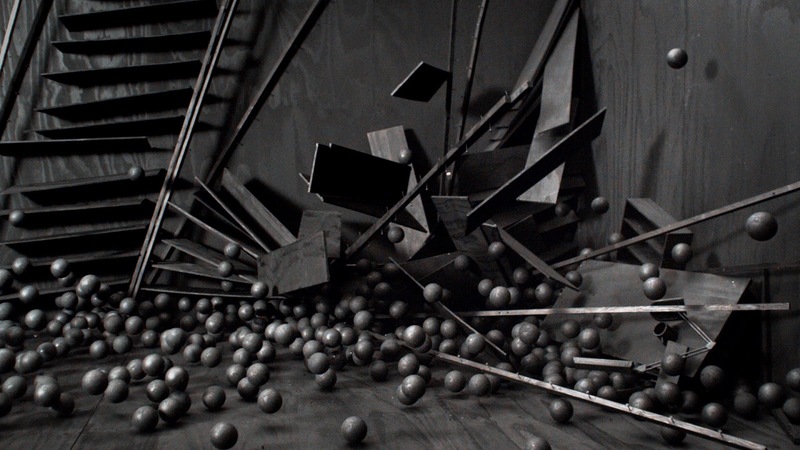 A monochromatic room, lined with large, tall bookshelves onto which are neatly placed 1500 icosahedrons, is subject to an inexplicable force. Slowly, leisurely, gracefully, the shelves fall into one another, the shapes drifting to the floor and scattering, until the action slows further and finally stops. 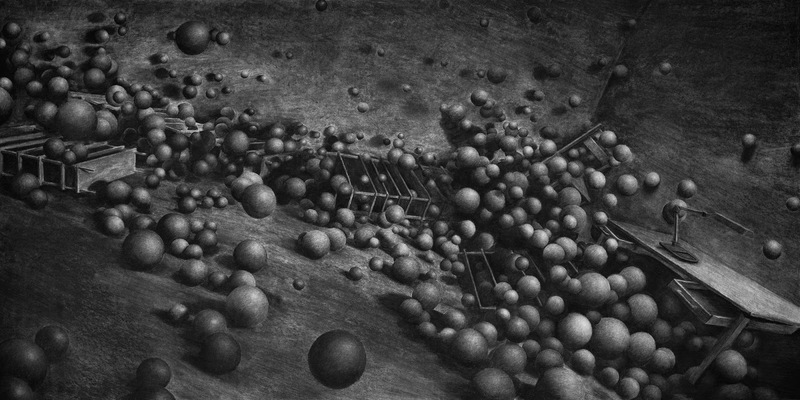 Archive, 2013, charcoal on paper, 205x120cm. Courtesy of the Rosenfeld Porcini Gallery. Cohesion is a series of short films based on drawings that aim to explore the struggle between order and the forces of nature. Such fundamental questions about the nature of our universe run throughout the practice of Levi van Veluw whose major exhibition at Marres Maastrict, The Relativity of Matter, opens in October. The product of a year’s work, the show will cover an area of 400m² and comprise a series of interconnected doors, corridors, atmospheres, perspectives and colours. digiQualia spoke to Levi as he was preparing for the exhibition. What attracts you to working in wood? In my work I'm questioning the way we look at chaos. Mankind developed a way to look at the world with their own logic and rules. It's a ongoing conflict between nature and the laws of physics, and our obsession to control our surroundings. The material needed to support this concept - wood is a natural material grown in a organic way. I find it interesting that we shape the organic form of the wood into something symmetrical, something that relates to our logic. The struggle of men to control there surroundings can be found in this reshaping of wood. 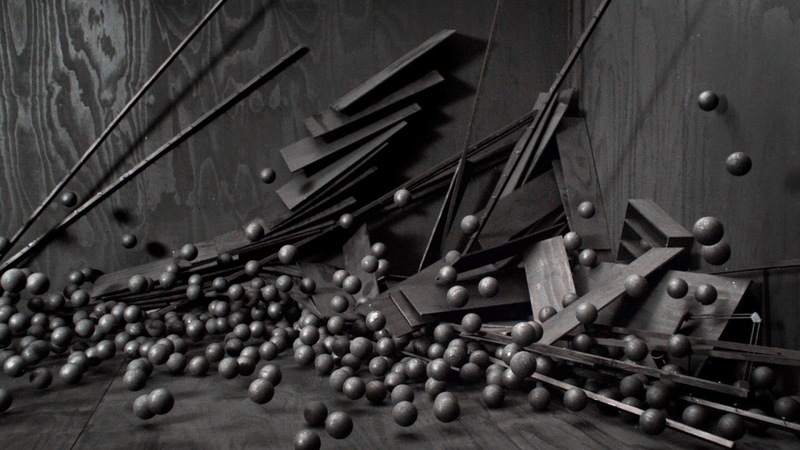 SPHERES, 2014, single channel HD video, 9'45". Courtesy of Rosenfeld Porcini Gallery. When figurative, much of your work is based on photographs and scans of yourself. Why is this? I started making self-portraits at art school. The choice of using myself was more practical than conceptual. These works were a way to experiment with something so familiar, in combination with materials that we experience in daily life. These I applied as a structure to transform the face into an object. But as my art evolved, using my face became a choice. At the moment self-portraiture does not feature in my work, but my new works are conceptually linked to a fascination with myself. There seems to be a tension between technology and the manmade in your work. Could you expand on how you view this relationship? The choice of not using digital manipulation is quite simple. The whole concept in my work is that it is about reality while appearing surreal. It is a combination of performance, experiment and aesthetics. The use of digital manipulation would interfere with this concept. For example, a cube made on a computer means total control, total perfection, whereas a perfect cube in reality is relative. Throughout art history, artists have always been confronted with new technology and materials - it’s nothing new. I think it’s very uninteresting when artists make a point of using new technology like 3D printing. Of course, new technologies are valid, it just shouldn’t be solely about the technology. Anish Kapoor was given the opportunity to work with Vantablack, the blackest substance known, made of carbon nanotubes. The material is already so amazing that I’m curious how he is going to make an artwork that is more than the material itself. 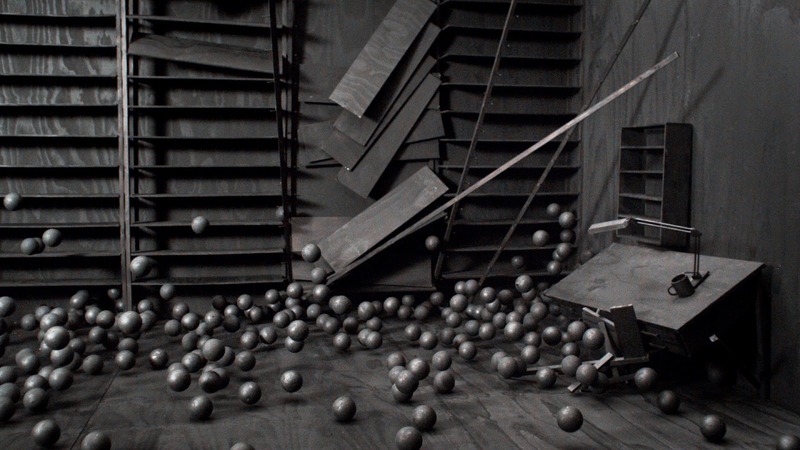 You recently presented the video work Spheres at Moving Image New York. 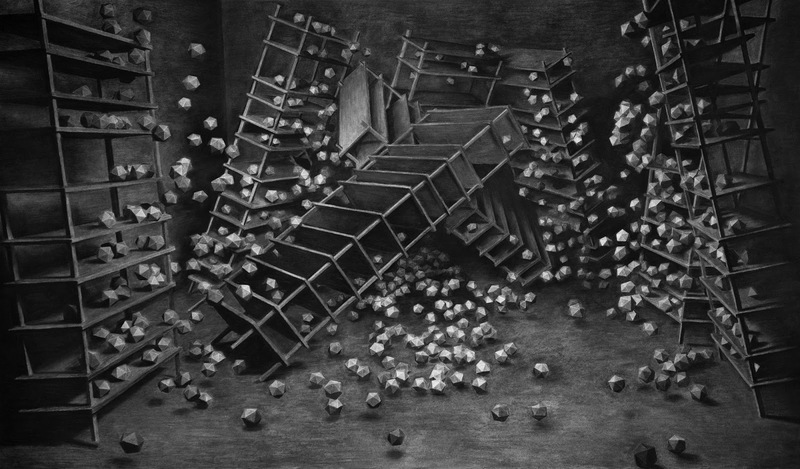 What was your inspiration for this new work and your thought behind The Collapse of Cohesion, the series from which Spheres was taken? The high-speed camera I used (1500 frames per second) captures the moment where our logic is exposed to the force of nature, turning the controlled surroundings and structure into something new. By exposing this transition the cohesion becomes more comprehensible.